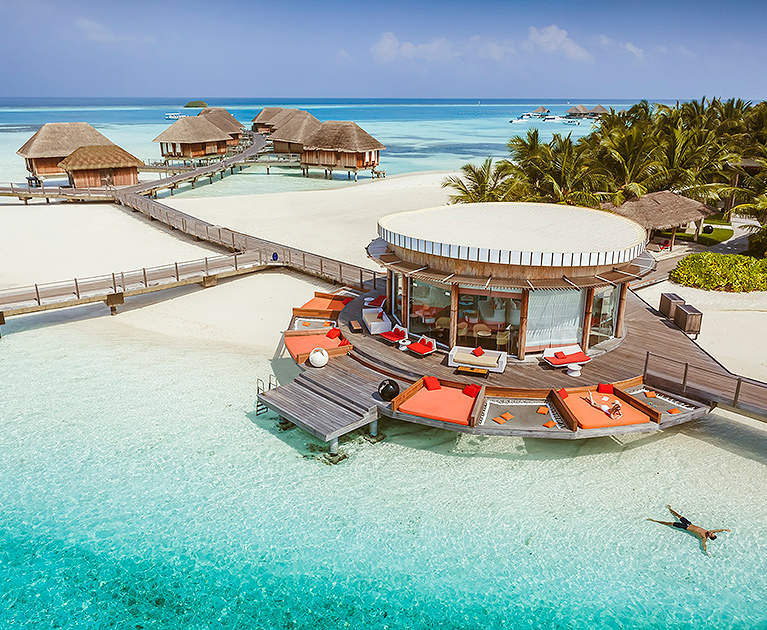 This tiny paradise, exclusively reserved for Club Med guests, is part of a world-famous site for divers in the Maldives. Set along an expansive, two-kilometre stretch of private beaches, natural wildlife thrives on land and sea, and thrilling water sports and adventures are yours for the taking Club Med Kani offers some of the best of the Maldives with the worry-free benefit of an all-inclusive package. For those looking for exclusivity, treat yourself to an upgrade to Manta overwater suite with panoramic views of an idyllic turquoise lagoon. Enjoy exclusive services including breakfast served in your suite and access to the private 5 Trident Luxury beach lounge and Champagne by the glass from 6pm. 1 Nov 2019 - 30 Apr 2020, subject to availability. Advertised price is based on example stay of in 9 Nov 2019. Seasonal surcharges apply for all other travel dates.